Raksha Bandhan is a festival that celebrates the special bond between a brother and a sister. On this auspicious day, a sister ties a sacred thread around her brother's wrist and in return a brother promises to protect her sister for life. Over the years, the tradition has got some additions, one of which is sisters tying rakhis around the wrists of their sisters. 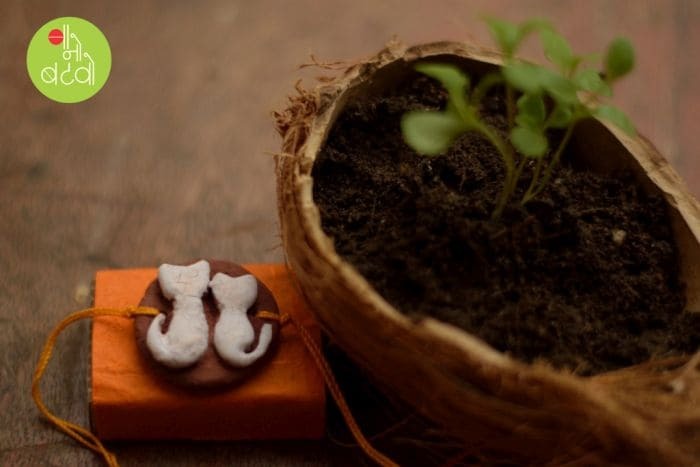 Giving a green and eco-friendly touch to the festival, some organisations have come up with rakhis that grow into plants. Here is all you need to know about them. 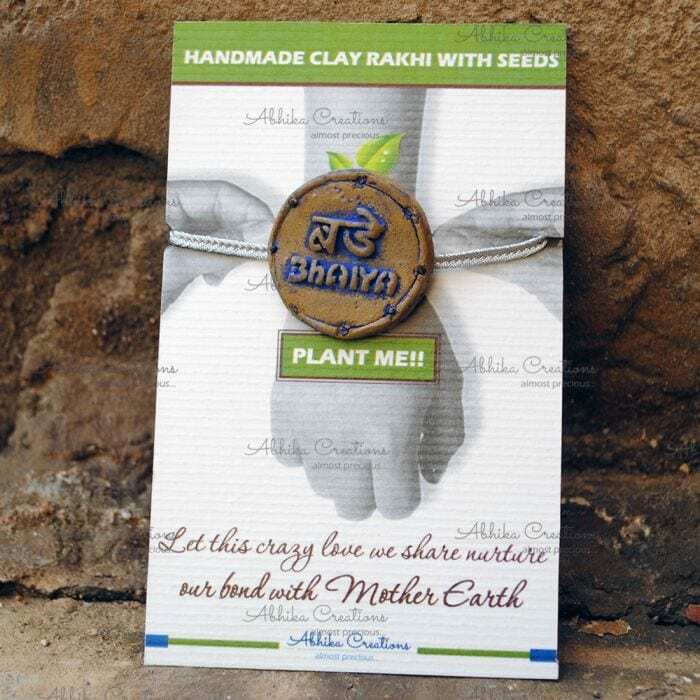 Ba No Batwo: The handcrafted rakhis, created by Ba No Batwo is made of clay and seeds of different plants are infused in it. The threads of the rakhis are painted with natural colours like geru, turmeric and rice paste. To make the base strong, discarded cardboard papers and matchstick boxes are used. The eco-friendly rakhi by Ba No Batwo is packed in an eco-friendly way as opposed to regular plastic packaging. While coconut husk and ‘chuka' (sorrel) leaves are used as cushions for the rakhis, upcycled cotton clothes are used for packing. 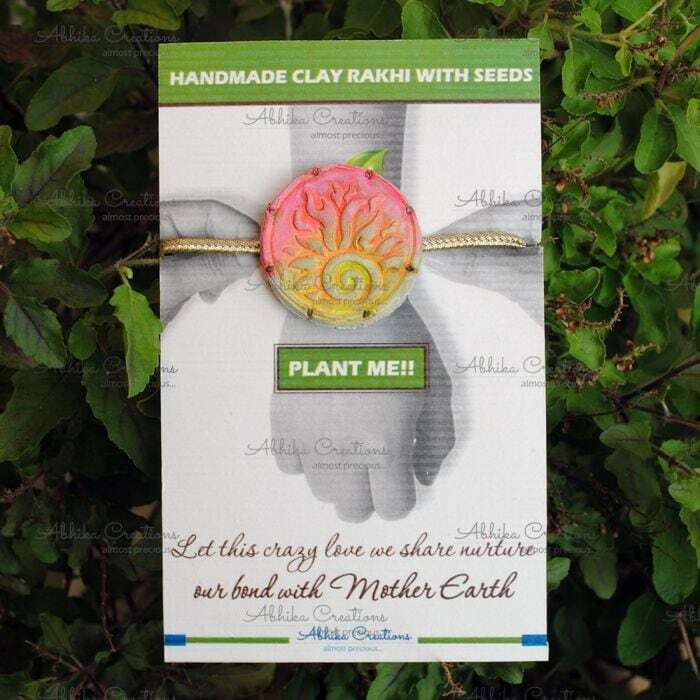 Abhika Creations: With the concept of non-plastic packaging, Abhika Creations came up with ‘Grow Green Rakhi'. 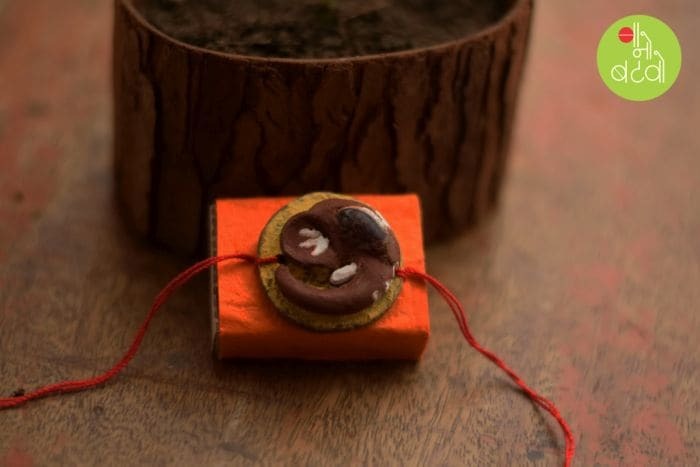 Fashioned out of clay, the plantable rakhi has seeds of Vinca Rosea (Sadabahar) and is handmade and handpainted using eco-friendly paints and alta (red dye). 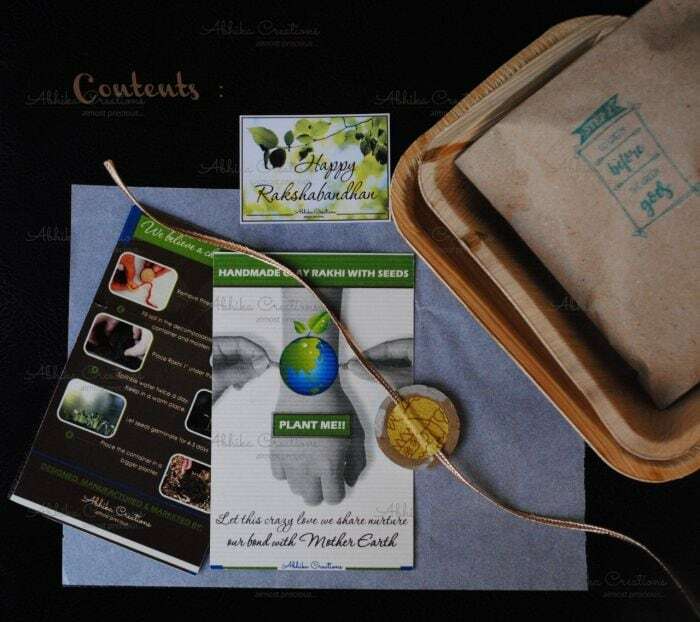 The eco-friendly rakhi package comes with a biodegradable pot, a packet of soil and a six step instruction manual to make it easy for people to plant. Seed rakhis are wrapped in butter paper. All the required material is kept in a corrugated box, which is then sealed with paper tape instead of cellotape. Products of both the organisations are available on their respective official website and e-commerce websites. This raksha bandhan, go green and tie a protective thread around the environment.